Communication – Singing and other music activities can improve a student’s vocalization and verbalization, and can help them more effectively express their emotions. Social Skills – in classroom activities or play sessions with music, students with autism have demonstrated improved social interactions such as sharing and taking turns. Behavior – Regular music activities have helped decrease negative behaviors such as aggression and tantrums. Emotions – When music is a part of their daily routine, it can help a student manage frustration and decrease anxious behaviors. Motor Skills – Learning to play the piano or other instrument, or simply moving to the music, can improve students’ fine and/or gross motor skills. 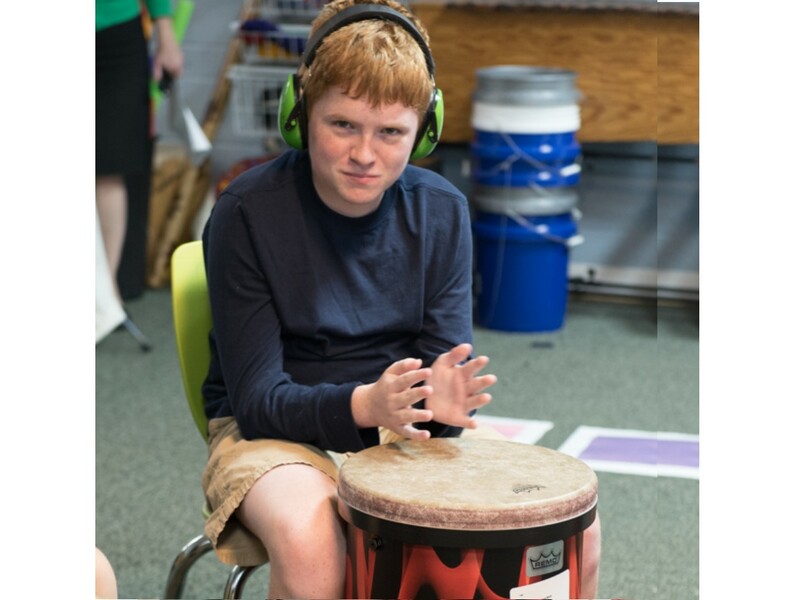 It is also interesting to note that, although individuals with autism are slower to develop verbal communication skills, evidence suggests that they are able to process and understand music just as well if not better than their peers. More specifically, autistic children have demonstrated advanced abilities in pitch categorization, memorization of melodies, and labeling of emotions in music.